With the clocks nudging 3500 miles on my Suzuki GSX250R, it was time for some new rubber. After months of commuting, leisure rides and even an afternoon on track, the rear OE IRC RX-01 Road Winner had completely squared-off and the front wasn’t much better, either. I was about to embark on a long ride down south and needed some fresh tyres that would comfortably make the journey. 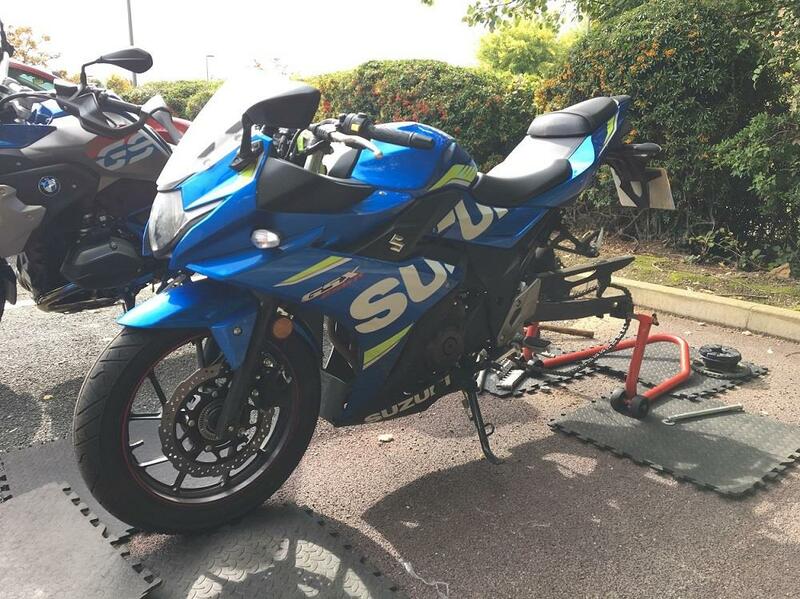 If you’ve read my older reports, you will know that I am not overly keen on the Suzuki’s standard tyres, due to their general lack of feel and lack of grip in the wet. I was keen to try something different from one of the major manufacturers, to see if I could noticeably improve the bike's performance in the bends. However, after flicking through countless websites, it soon became apparent that the bike’s 110/80-17 front and 140/55-17 rear dimensions mean that almost no one makes any tyres for it and I was unable to source anything in time. Desperate for a quick fix before any legal complications, I have had to stick another pair of factory-fresh IRCs on for now, but I’ll be looking to source a more premium set soon. Fingers crossed!